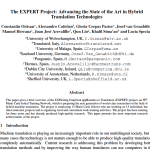 Lianet Sepúlveda Torres begins to work in the Expert Project as a Machine Translations Researcher in the Pangeanic. Lianet comes from a problem-solving and prediction background, having worked as a Data Scientist at Bravi Analytics in Brazil, solving prediction problems using machine learning and data. Her main research interests lie in Natural Language Processing, especially in the fields of Machine Translations, Second Language Learning, Linguistic and Design and Implementation of NLP systems and resources. She has worked on other topics such as Machine Learning and Digital Signal Processing. 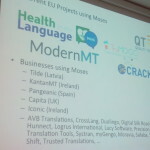 I am very happy to become part of the EXPERT project and advance PangeaMT technologies. I love the opportunity I have been given. I expect to learn all that team can teach me and I will work hard with full dedication to improve the process and experience of the team. Lianet graduated in Computer Science Engineer from the Higher Polytechnic Institute “José Antonio Echeverría”, Havana, Cuba, in 2007. She obtained a Master Science Degree on Electrical Engineering from University of São Paulo, Brazil, in 2010. 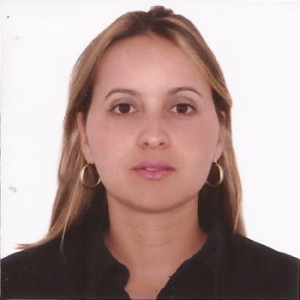 She obtained her PhD by the thesis “Scientific writing in Portuguese by Hispanic speaking: linguistic-computational resources based on alignments methods of parallel text” at University of São Paulo, Brazil in September 2015. Her project was directed to analyze lexical errors that second language learners frequently commit. This research focused, specifically, in the automatic generation of lexical resources to support writing in Portuguese by native Spanish speakers. For this purpose, bilingual lexicons (cognates and false cognates; discourse markers; formulaic expressions and verbs) were created using automatic translation. Currently and during her PhD she has worked as part of a cohesive team of researchers from different disciplines and nationalities. That increased her confidence in communicating her ideas and results to those outside her area of expertise and improved her intercultural skills. In these working groups Lianet learned how to discuss efficient solutions for solving several problems and to establish relationships. 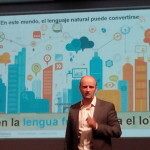 Can you detect new website content and translate it (automatically)?